This is retro retro futurism. That means it’s retro futurism from the 80ies. 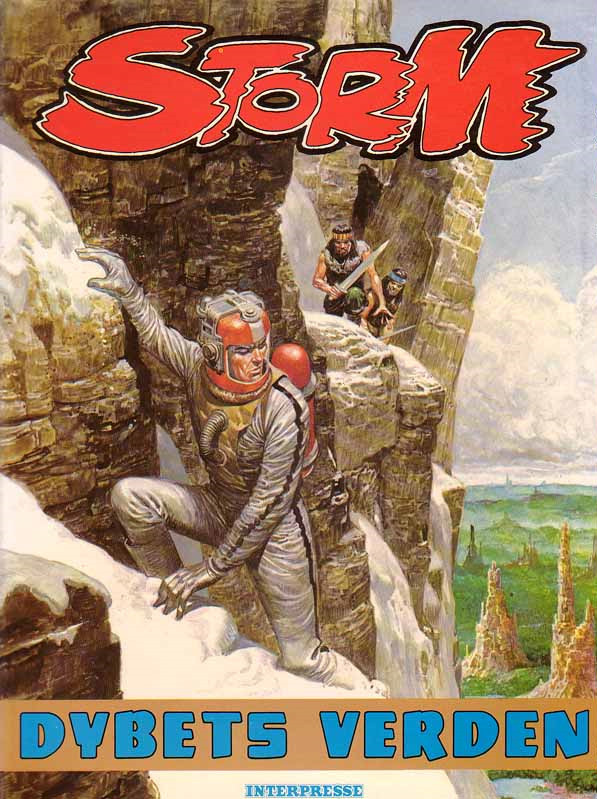 Storm by Don Lawrence, details the adventures of Storm the astronaut and his time-travel-gone-wrong adventures in a distant future where society has regressed into a barbarian steam-punk with oversized critters and mounts culture. Excellent. Added album nb. 3, which I actually didn’t find in the comic book store, but that’s beside the point. Unfortunately, the above three are the only ones that ever did come out in Denmark. 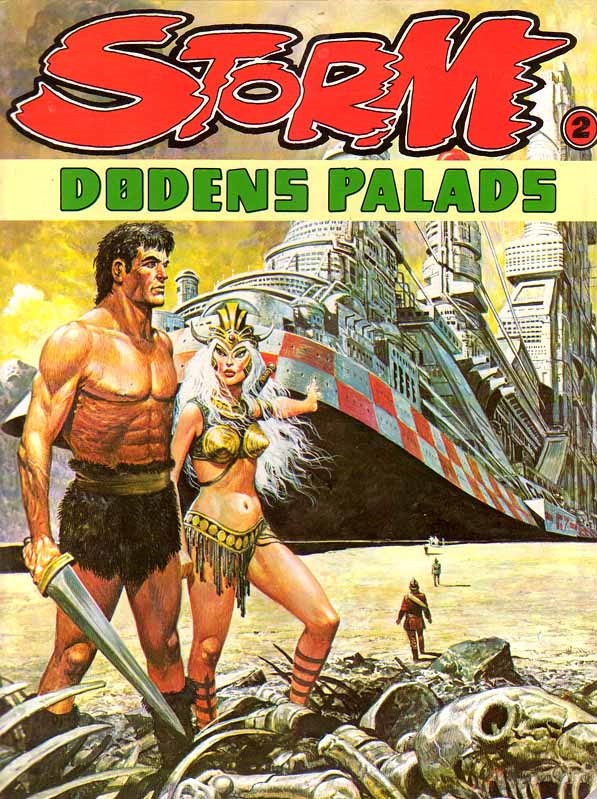 Hmm, someone was heavily inspired by Alex Raymond’s Flash Gordon. Well hello Kristian, my old school friend! Good to hear from you again. I think you’re right on with Flash Gordon / Marvel references. 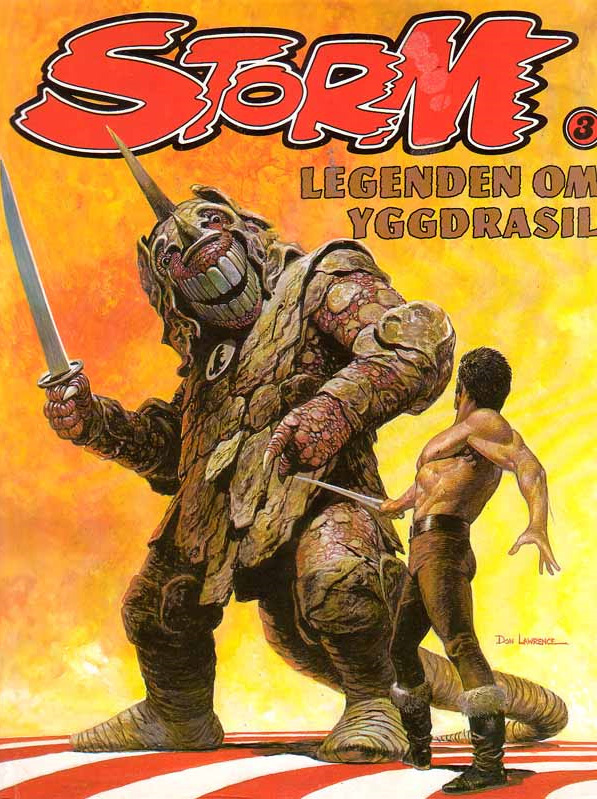 In fact, reading Don Lawrences biography, it mentions a Don Lawrence period of copying Marvel Man.